Icarus1497 wrote: Is there a source for that? As far as I know, the only events for it so far have been in Japan. I was actually wondertraded one yesterday, got rid straight away as I'd rather get my own when it's actually released here. Got it on my dex anyway. I'd seen it on Serebii stating the dates of "16th April 2016 to 30th September 2016". But on further investigation it seems that this is Japan only. Shame really. Hopefully they will reveal plans for Volcanion over here and not leave it exclusive to Japan. Especially since the Pokemon Movies aren't released in the cinemas here. So yeah, false alarm. Dunno how long it's available for. Alternatively you can get Darkrai for the upcoming month of May. But apparently this is like the Mew event, you need a special serial code to download it. Can only presume that it's because of the Zygarde event running at the moment. Apparently Zygarde is available until the 26th. Still no word on the European distribution of the shiny Xerneas and Yveltal, though. Apart from Spain for some reason. 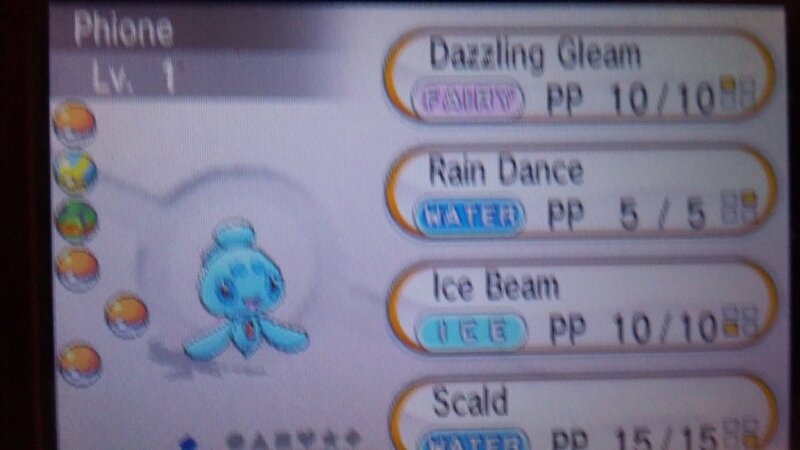 Just got Manaphy off Mystery Gift. It's not supposed to be out until tomorrow but looks like they released it early. That's one legendary I'm definitely going to make sure I get, always wanted a Manaphy but never had one. I traded the Manaphy I carefully earned through Pokemon Ranger (not a bad spin-off, considering some that I've played) and regretted it. Glad the little blighter is back in my crew(s). ...you can now download Volcanion if you get a serial code from GAME. If anyone's been building an event legendary collection this year with the downloads then this is pretty key. Got at least one of every event pokemon on these two games, or at least the ones they promoted, anyway. How good do the Steelbooks look? !